The modernistic approach that Vives laid down in De Subventione Pauperum strikes most readers nowadays and some scholars went a step further by announcing that this piece of work laid the ideological foundation of modern welfare.1 In the historiography of poor relief, book II of De Subventione Pauperum was mostly emphasized, because it contains a practical guide for the re-organization of poor relief. This historiography was mostly worked out in the sixties, seventies and eighties of the twentieth century and the vision about poor relief in those days was quite pessimistic. De Subventione Pauperum adds new features to the ideology of poor relief, but is probably more an articulation of ideas about the issue that were already changing, than the radical change mentioned above. Medieval ideas of taking care of the poor are probably not that egoistic motivated, while the poor relief of the sixteenth century state was not that much better for the poor. Poor relief wasn’t organized in a centralized manner in the late Middle ages. The poor were getting help from a broad scope of institutions providing food, shelter and healthcare. Hospitals were often run by nuns or brothers. Sick people could recover or were taken care of on their deathbed. People paid a small sum and the poor would get help for free. Guesthouses of godhouses were mostly run by brotherhoods or guilds. They were specialized in giving shelter to poor travellers, but they also provided healthcare. However, the difference between guesthouses and hospitals was not as strict as I pictured, especially when time passed by. For food, poor people could turn to the poor tables (in dutch called ‘armendis’ or ‘tafel van den Heiligen Geest’). These were organized within a parochial church, not by the clergy, but by laypeople. The poor tables provided food, mostly bread, fish and meat, and sometimes wine or beer. These poor were not the beggars or vagabonds, but the so-called house-poor (called ‘huisarmen’ in dutch). Book II starts with Vives’ statement that the first book was mea nt for the individual citizen, while the second book is meant for the rulers of a city. It is because book II is especially meant as a manual for poverty politics of the city that historians mostly paid attention to the second book. The program Vives describes can be summarized in four steps. Registrate the poor, find jobs for the healthy beggars, put the funds of all institutions together and take care of the remaining poor. Although book II of De Subventione Pauperum is more a practical outline of city politics. It still doesn’t go into the day to day practice of institutions working on poor relief and it still puts forward a strong ideological vision on poverty. It is good to note that while Vives is often seen as the starting point of the political change, he doesn’t get into detailed criticism on the existing institutions. Details about the poor relief in Bruges or a good picture how poor relief worked in those days is lacking in the treatise.22 Also, he focuses mainly on the problem of inefficiency of too many institutions, while the problems of rich people buying themselves into hospitals or the absorbed budgets of poor tables by anniversary masses, aren’t mentioned at all. These points must lead to the conclusion that Vives’ knowledge of the institutions for poor relief wasn’t too good. Maybe it is better, due to the lack of practical detailed knowledge, to consider Book II also as a theoretical survey, instead of calling it the practical guide, like many historians did. As a theoretical outline it will fit on every possible city, and the intentions formulated by Vives are without doubt modern, maybe even to this date. This might be Vives’ ambition to begin with. The most prominent issues Vives puts forward in De Subventione Pauperum, that should be compared with other thinkers, are his ideas about poverty versus property, the obligation of the community to help and the idea to centralize poor relief. Thomas Aquinas was an Italian philosopher and theologian from the 13th century who was part of the scholastic tradition. No other philosopher has dominated the way of thinking in the late medieval period as Aquinas. He started his main work Summa Theologiae around 1265 and finished it a few years before his death in 1274. In scholastic fashion he puts forward a set of propositions, followed by possible objections and concluded with his answers to these objections. The most prominent question to be answered, after noticing that Christians have a duty to give alms, is who gives alms and who they should give alms to. As selflove is the startingpoint of love, one should only give alms out of things he doesn’t really need. Aquinas even calls it a sin to deprive yourself from your needs.29 At the other hand, giving alms is only prescript when the other person is in need.30 In other words: alms are to be given by persons who possess more than they need, and they should give it to those who don’t possess the goods they really need. Although the concept of almsgiving for Aquinas is primarily a matter of charity in the Christian sense, as an act before the eyes of God, it is still important to note that practically speaking the surplus of the rich should fill up the lacking of the poor. However, almsgiving is always a transaction and creates a relationship between the giver and the receiver. Geert Groote from Deventer lived and worked in the 14th century. He is the main founder of the Devotio Moderna, a religious movement in the late Middle Ages that spread in a short time through the low countries and beyond. They founded small communities of brothers or sisters working and living together as monks. Geert Groote and followers like Thomas Kempis didn’t write many theological or philosophical works, but instead instructional books for the brothers and sisters about how they should live. Their ideas about poverty must be seen mostly in the way they acted. In their communities they lived with common goods, they lived in poverty and taking care for the sick and the poor was considered important. However, there is one work of Geert Groote which tells more about his ideas about poverty and poor relief. In 1372 he wrote Contra turrim traiectensem, a protest against the building of the Dom-tower of Utrecht, but in this work he also mentions indirectly poverty and poor relief. It is unlikely Vives read this treatise. There is only one manuscript found and it couldn’t be widespread, it is even questioned if the treatise was published at all.31 But Vives must have been aware of the movement of Geert Groote and the practical way of dealing with property and works for the poor and the sick. And also because the movement influenced humanism, mainly through Rudolph Agricola, an early humanist who studied with Thomas Kempis. The English humanist Thomas More was lawyer and politician and served at the court of Henry VIII. He made several trips to Flanders and was befriend with Erasmus and from 1520 on also with Vives. Thomas More didn’t directly write about poverty or poor relief. However, it is one of the topics in More’s novel Utopia. In this story about a fictional island, Thomas More philosophizes about some new political ideas. The story is best to be read as a framework for More’s criticism on the political reality of his time. Still, the political novelties on the island of Utopia can also be seen as idealized ambitions that could be appearing in a society to come. Ideas of religious freedom and socio-economical equality have inspired political thinkers for centuries and are still not out of date. For this essay the socio-economic ideas are relevant. More wrote his book in 1516, four years before he met Vives and ten years before Vives wrote his treatise on poor relief. Although Utopia is a piece of fiction and also an unrealistic description of a perfect society, it might have influenced Vives when he wrote De Subventione Pauperum. As we already saw, the ideological concept on poor relief of Vives starts with the notion that it is natural for humans to live in community and therefore to help fellows in need. When Thomas Aquinas talks about the community he points at the condition that the poor should be in, during extreme need.40 Although the community is important in late Medieval thinking, Vives seems to put more weight on community than Aquinas does. He repeats the Medieval idea that the poor should carry their fate with dignity, still he doesn’t accept poverty at all. After getting rid of fake beggars, everything must be done to get rid of poverty. Aquinas is clear that when there is extreme poverty, people with more possessions than they need, are obligated to give alms. But because selflove should be the most important drive behind almsgiving, he puts the giver in the forefront. Vives based his treatise from the beginning on the needs of the receiver. This doesn’t mean that there is a clean break between the ideas of Aquinas and Vives. Geert Groote’s critique on the church for spending money on idle projects instead of taking care of the poor, is clearly on the side of the poor. So Vives has a different approach on poverty than Aquinas, but Geert Groote did so too, more than a century before him. Aquinas doesn’t seem to share Vives’ ambition to get rid of all poverty. Thomas More however does articulate this ambition in Utopia. Sharing all working hours and all goods equally would mean the end of beggars and real poverty. Although he made his claims in a piece of fiction, Vives must have read it and was dead serious when he repeated this strong ambition. He didn’t only consider it possible to create a city without beggars, he also believed it would result in a city with less thieves, robbers and murderers. To conclude, most elements Vives used in his treatise aren’t brand new. The concept of poor relief that would only be there for the benefit of the almsgiver, was already changing in the late medieval period. Ambitions to create poor relief politics that could wipe out poverty were probably a new 16th century feature, but Thomas More wrote about ambitions like that before Vives. We already saw he also wasn’t the first with his practical program on poor relief. The town of Ypres already created such a program. What makes De Subventione Pauperum unique was the combination of this conclusive practical approach, an ideological background with an honest concern for the poor. MICHIELSE, H., ‘Jan Lois Vives, de hervorming van de armenzorg rond 1525 en de opkomst van een andragogische technologie’, Tijdschrift voor agologie, 5 (1986), 268. Blockmans and Prevenier called it ‘earning heaven by giving alms’ in their influential article on poor relief: BLOCKMANS, W.P. en PREVENIER, W., ‘Armoede in de Nederlanden van de 14e tot het midden van de 16e eeuw’, Tijdschrift voor Geschiedenis, 88 (1975), 519-520. Bart de Swaan made the most bold statement when he portrays poor relief in the Middle Ages as a product of ‘calculation, self-interest and peer pressure’; paraphrased in: BOGAERS, L., Aards, betrokken en zelfbewust, De verwevenheid van cultuur en religie in katholiek Utrecht, 1300-1600, Utrecht, 2008, 506-507. BOGAERS, L., Aards, betrokken en zelfbewust, 498. As introduction to the late medieval poor relief: GEREMEK, B., Poverty: a history, Oxford, 1994. and MARECHAL, G., ‘Armen- en ziekenzorg in de Zuidelijke Nederlanden’, Algemene Geschiedenis der Nederlanden, II, Haarlem, 1982, 268-280. 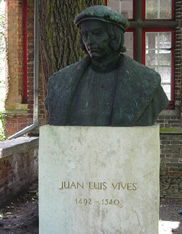 MICHIELSE, ‘Jan Lois Vives’, 268-271. GEREMEK, Poverty: a history, 139. MICHIELSE, ‘Jan Lois Vives’, 273. 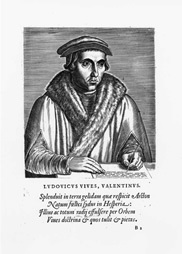 VIVES, J., De subventione pauperum sive de humanis necessitatibus, C. Matheeussen ed., Leiden, 2002, 4-5. VIVES, De subventione pauperum, 89. For a good picture on poor relief in Bruges see: GALVIN, M., The Poor Tables of Bruges, 1270-1477, Ann Arbor, Michigan, 1998. and MARECHAL, G., De sociale en politieke gebondenheid van het Brugse hospitaalwezen in de Middeleeuwen (Standen en Landen 73), Kortrijk, 1978. AQUINAS, T., Summa Theologica, English Dominican fathers ed., New York, 1947, II-II 66 article 1. Ibid., II-II 66 article 2. Ibid., II-II 66 article 5-7. Ibid., II-II 25 article 4. KECK, A., Das philosophische Motiv der Fürsorge im Wandel: vom Almosen bei Thomas von Aquin zu Juan Luis Vives’ De subventione pauperum, Würzburg, 2010, 49. AQUINAS, Summa, II-II 32 article 5. Ibid., II-II 32 article 9. KECK, Das philosophische Motiv, 76. POST, R., The modern devotion: confrontation with reformation and humanism, Leiden, 1968, 129. GROOTE, G., Contra turrim Traiectensem, R. POST ed., Den Haag, 1967, 25. MORE, T., Utopia, Londen, 1965, 75-76. KECK, Das philosophische Motiv, 80-81.